Stylist, snapper, trend crush, home lover. I'm a professional interior stylist who enjoys the lovely things that life brings, and that is celebrated in my styling. My work allows my creative flair to flourish (and I get to peak around some of the best homes in the world too). I art direct, manage budgets, location hunter, shoot production as well as hand-on styling. I graduated from Leeds with a MA in print Journalism in 2000. I learned my trade as a Style Editor on magazines. I have been freelancing since 2009 - working on editorial and commercial shoots. My clients include Debenhams, House of Fraser, Homebase, The White Company, Jane Packer, Cabbages & Roses, Decora, Heath Designs, Hobby Craft and Tesco. I've shot covers and style shoots for Country Homes & Interiors, House Beautiful, Ideal Home, Real Homes, Style at Home, Homes & Antiques, 25 Beautiful Homes, Coast, Good Homes, Mollie Makes, The Guardian and Home. In my career, I've been lucky enough to shoot in New York, South Africa, New Zealand & Australia. But I never happier than in London, where I style look books, shoots, editorial features and decorating pieces. I often appear on television and radio. Please have a peak at my on-line alter-ego WeLoveHome for my latest news. Please talk to me direct about any projects you have in mind. Hello, My name is Gràinne (pronounced grawnya - its Irish :)) and I am a freelance stylist for interiors, shoots and events. I simply adore what I do and the style I love best reflects summer days with a slight eclectic, vintage vibe. Have a peek at my website to see some more images and see a little more about me. I bring a unique sense of passion, fun and most of all friendliness to any job i undertake. I am easy going yet having run many businesses along the way I know the value of time and money. Organised Life was born out of a love of interiors and a passion for wanting an easier and less cluttered life: Being busy parents, with demanding jobs and a house to run is no easy task. Over the years we’ve learned that having a well run, clean and clutter free home goes along way to achieving a much easier, happier life. For many there’s not enough hours in the day to achieve this. After over 20 years working in creative industries and studying for a diploma in Professional Interior Design, OrganisedLife was born. OrganisedLife sets out to take away some of the stresses in everyday life. We offer a bespoke home organisation, de-cluttering and pre house sale staging and interior design service.. We can organise your wardrobes, cupboards, bookshelves, decorate rooms and finish off with a deep clean to give you the foundation to have less stress and a beautifully organised home life. I am an interior stylist and designer with 20 years experience in the industry. I work across popular UK home interest titles as well as design room sets for exhibitions, events and TV. I'm also a TV expert and have appeared on all the major channels. I currently front BBC2's The Great Interior Design Challange, alongside president of the BIID Daniel Hopwood. I have been restoring antique furniture for over 30 years for both trade and private customers. Some of my work has been sold onto the leading antique stores and trade fairs in London as well as other parts of the UK, while other pieces have travelled around the world and now live as far afield as Japan and America. I am passionate about all things beautiful particularly when it comes to antiques, interiors and decorative arts. Throughout my working life I have turned my hand to many different working skills and techniques resulting in many areas of specialisation. During the course of my career I have developed an intuitive sense for putting together seemingly diverse elements into harmonious and stylish interiors. At Harmony Antiques our aim is to offer an interesting mix of Antiques, Mid-Century and Vintage items, including furniture for interiors and gardens, lighting, mirrors, paintings, statuary for inside and out and quirky one-off objects. We are suppliers to the trade and individual clients, and have an on-line Storefront <a rel="nofollow" target="_blank" href="https://www.thehoarde.com/dealers/harmony-antiques">https://www.thehoarde.com/dealers/harmony-antiques</a> We have three large showrooms at The Old Brewery Antique Warehouse Buildings, in Arundel, West Sussex. Tailor made interiors with bespoke furniture. Handmade and carefully crafted design for beautiful longevity. 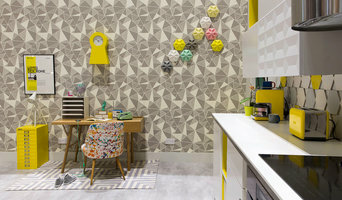 Papillon is a Brighton based design and retail specialist of home and interiors. At Inspired Home Interiors we are pleased to stock a quality selection of Bathrooms, Bedrooms and Kitchens across Sussex. From Fitted Bathrooms and Kitchen in Eastbourne, to our extensive selection of tiles available at all 3 of our branches, Inspired Home Interiors have everything you need to transform the décor of your home. Interior stylists or interior decorators in Brighton, East Sussex will be able to help you position furniture, choose colour schemes and select accessories so that your rooms and home decoration will be picture perfect and guest-ready. What types of project should I hire Brighton, East Sussex interior stylists for? 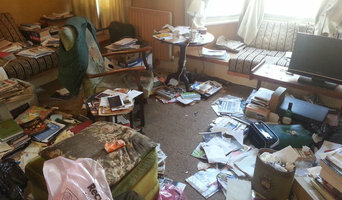 What should I ask prospective Brighton, East Sussex interior stylists? Find interior stylists on Houzz. 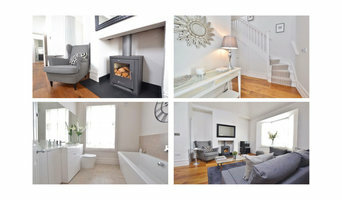 Narrow your search in the Professionals section of the website to Brighton, East Sussex interior stylists. 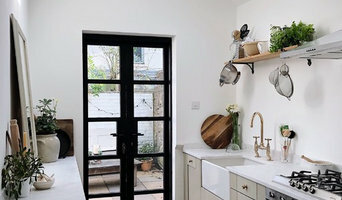 You can also look through Brighton, East Sussex photos by style to find rooms and home decoration you like, then contact the interior decorators or stylists who styled them.